CAIS has received the Investors in Volunteers award – recognising its sector-leading work in volunteering. The award makes CAIS – which helps people who are having problems with addiction, adverse mental health, unemployment, offending and other life challenges, as well as offering assistance and information to their families and friends – one of around 80 organisations throughout Wales entitled to display the Investors in Volunteers kitemark. Volunteer manager Claire Jones said the whole organisation was “thrilled and delighted” at the news. “We already know how amazing our volunteers are, and what a significant contribution they make to their communities – but this recognition helps to underline just how rewarding giving your time to help others through CAIS can be,” she said. “Our team includes students, retirees, people who work full time, and people who have experience of using our services. What unites them all is the will and desire to make a difference. Chief executive Clive Wolfendale said the award was a boost for volunteers of the future. 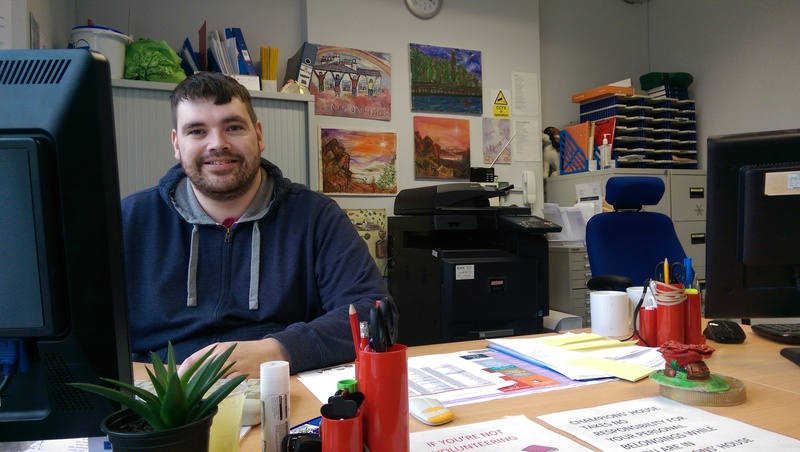 “As we continue to expand and broaden our areas of service delivery, we expect to offer more great volunteering opportunities – whether individuals are seeking personal development, or to ‘give something back’ to the area in which they live and work,” he added. Investing in Volunteers is the UK-wide quality standard for organisations involving volunteers, and is delivered in Wales by the Wales Council for Voluntary Action. The endorsement aims to improve the quality of the volunteering experience, and to encourage organisations to better recognise the enormous contribution made by volunteers.